Clear your calendar - It's going down! Startup Weekend Education Providence 2016 kicks off on September 23rd, and you're invited to take part in the festivities. is our meeting spot for a night of fun and excitement. Come one, come all, bring a guest, and hang loose. This is going to be epic! Thanks to the generous support of the Rhode Island Commerce Corporation, tickets for Startup Weekend Education are now FREE! Limited spots available. Please enter the code SWEDUFREE when registering. Startup Weekend Education (SWEDU) is an action-oriented weekend designed to take you from idea to startup in just 54 hours. 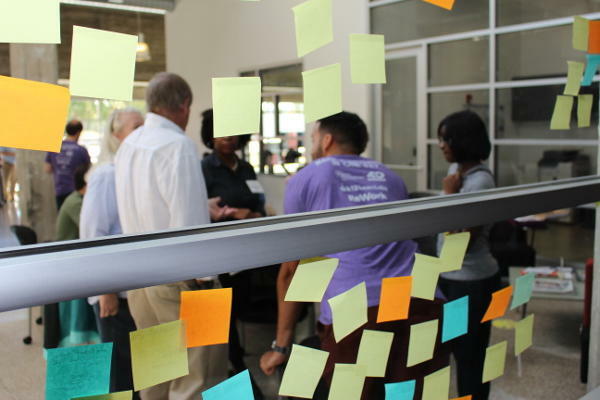 At SWEDU happening across the country, educators, business professionals, and hackers conceptualize and build viable products, services, and school models that solve education’s most pressing problems. SWEDU participants pitch their idea to other attendees, then form teams that will work for two days building a prototype and business model to pitch to a panel of judges on Sunday. SWEDU brings educators into the process of solving problems they face firsthand, integrating their perspective into solutions at conception. SWEDU is coming to Providence for the first time! During our inaugural event, we will be focusing on Culturally Relevant Content as the theme for identifying and solving education’s critical problems. The heart of our work is a deep commitment to equity. Have an idea or want to join a team that makes an impact? Join us at SWEDU Providence on September 23-25, 2016! Work through your idea from the ground up. Build a product, create a strategy, and test them as you go. You will be surrounded by tech, education, and business experts – get out of your comfort zone and learn something new. Get connected with local tech and education leaders in your city and build lasting relationships through this challenge. Join the SWEDU community. ﻿This no talk, all action weekend ends in a real product, not just a prototype. Get the tools you need to refine your strategy and make your idea a reality. Voting and Team Formation - Get started! Do I need to take Friday 9/23 off? No. Registration and dinner begins at 5 PM, and the kickoff starts at 6 PM. Not at all. Everyone goes home on Friday and Saturday night, and comes back the next morning. The work space is open from 8 AM to midnight, but it’s totally up to you and your team to decide how long you’d like to work. Do I need to attend the entire weekend? Yes. Registering for Startup Weekend Education means you are committing to all three days (Friday 9/23-Sunday 9/25) and will be in attendance during that time. Food, materials, and space is arranged for based on the number of people registered. What if I am not available the whole weekend? You are welcome to join and watch the Friday night pitches and/or the Sunday night presentations, but you cannot join a team for the weekend. Please be sure to register and choose “Friday Night” or “Sunday Night”. You can also sign up to be a volunteer for a few hours any day during the weekend. Thanks to the generous support of the Rhode Island Commerce Corporation, tickets for Startup Weekend Education are free ($100 value per ticket)! To register, click on "Attend", choose the ticket type you are registering for, and then enter the promo code SWEDUFREE at the bottom of the page. The cost will show as $0.00. Please enter the rest of your information on the next page. Absolutely! Student voice is essential to creating impactful and realistic solutions. High school and college students are welcome. Can I come with a group of friends or colleagues? You can certainly register and come together, but when forming teams, we highly encourage groups of friends or colleagues to separate and join different teams. The reason for this is that each team needs a diversity of roles (educators, developers, designers, and students) and opinions to build a solution that is well-rounded. 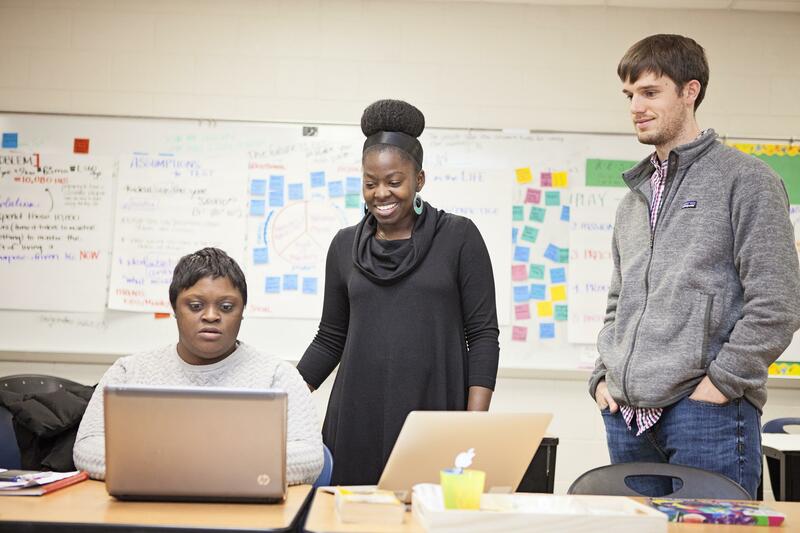 For example, 5 teachers may be have deep content knowledge about a particular topic, but they would need a designer to mock up a product, 1-2 developers to build a platform, and a student and/or parent to test the feasibility of the idea in the community. Teams range from 4-7 people, and include individuals with different skillsets and backgrounds. What if my idea isn’t chosen during friday night pitches? No problem. There’s a high likelihood that you can be a major contributor to another team, learn the ropes about building a startup, and have an incredible experience. Regardless of the idea you work on, the opportunity to meet and work with people from different backgrounds is an invaluable experience. If I already have a company, can I participate? Startup Weekend Education is for new ideas, not incorporated ventures. If you already have a platform, revenue, or employees, you cannot pitch that company as a new idea. However, if you are an entrepreneur and want to pitch a different idea than the one you are currently working on, you are welcome to! For everyone - If you’ve had an idea about something you’ve been wanting to solve in education, this is your time! Pitch away! Remember, the theme for this event is culturally relevant content. Teachers, specialists, coaches, district administrators, and anyone else who is professionally trained to teach others (K-12 or higher ed) - This category is essential to a successful SWEDU! Anyone with a technical skill set. i.e. Mobile App Developers (IOS, IOS SDK, Android) Programmers (JAVA, Objective C, CSS3, etc.) Web developers (front end and back end). High school (Grades 9-12) or college students interested in hacking, UX/UI design, business, social justice and collaborating on an unique solution to a challenge they’re facing. Individuals who will keep student voice and perspective on the top of theirs and the group’s mind. This could be a parent/relative, youth development professional, or others who work closely with youth and are interested in collaborating with and supporting students on a team! All are welcome. If you're not sure where you fit, this ticket is probably best for you! Interested in hearing the newest ideas in the education world? Come watch attendees pitch innovative ideas and form teams to kick off Startup Weekend Education! View the final presentations and celebrate with Startup Weekend Education attendees!